#NP8 8" x 9 1/2" x .015"
These popular Peel&Place® 8"x9.5"x.015" UltraThin, Hard Surface MousePads are held firmly in place by our special lo-tac, repositionable adhesive. 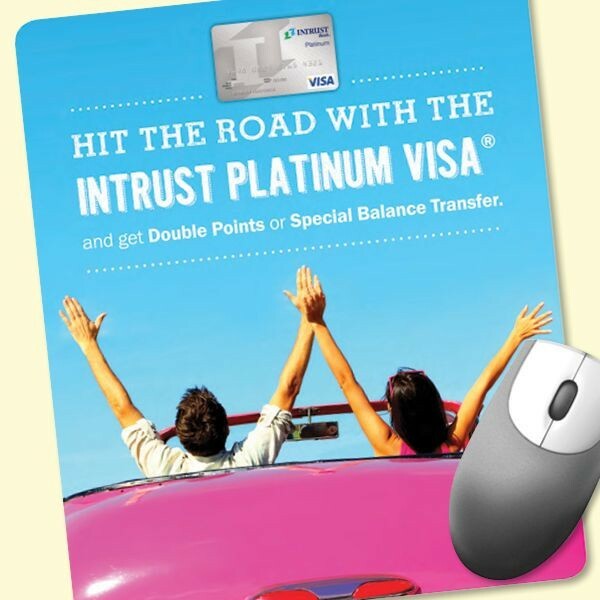 If your promotion involves mailings or inserts, thin, lightweight Peel&Place® mouse pads are a perfect choice. Plus, these mousepads are odorless and latex-free making them great for hospitals and schools. Printed in vivid full color. Made in the USA using materials ALSO Made in the USA. To keep your promotion in front of your customers for a long time, your message is protected under this mousepad's durable, Vynex® textured plastic surface. Even in today's wireless world, mousepads are great for all the offices, banks, hospitals, auto dealerships, and other businesses using desktop computers. Minimum order is 100 pads. 8" x 9 1/2" x .015"
4-Color Process Offset Lithography Imprint. Mouse pads let you promote at the Point of "Click" on computers everywhere with more message space than most other promotional products-more impact for your money!